and appear from either the Tim Jefferies collection, the Dennis Goldstein collection or courtesy of author C.H. Foertmeyer's www.crosley-field.com. By opening day 1962, the famed warehouse was gone, replaced by an overgrown hill just past centerfield. The overgrown hill wasn't there permanently however. 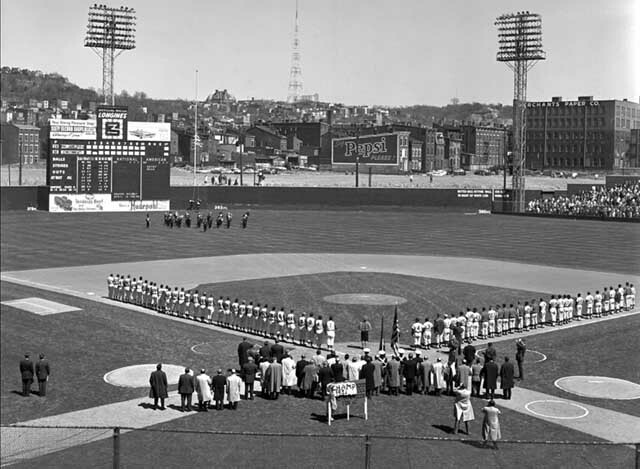 It was the beginning of a major project that would dominate the views of Crosley Field's final days.